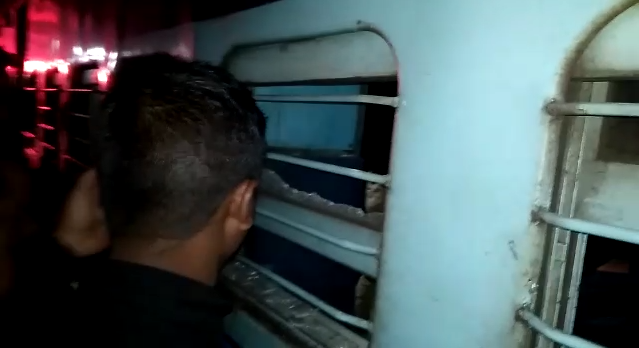 The United Liberation Front of Asom-Independent (ULFA-I) has denied its involvement in the explosion that took place in the Kamakhya-Dekargaon Intercity Express (No 15815) near Harisinga Railway Station in Udalguri district of Assam at about 7 pm on Saturday evening. As per prima facie, police suspect the explosion was caused by an improvised explosive device (IED) that was already boarded on the train that left five people injured, two of them seriously. In a press release issued to the media on Sunday and signed by Rumel Asom, member of the outfit’s publicity wing, the outlawed militant organization while denying its involvement in the blast has also vehemently condemned the incident. The proscribed militant outfit, through the release, also wished speedy recovery of those injured in the bomb blast. The ULFA-I, through the press release, also stated that the Home Department of the Assam Government is trying to gain ‘political mileage’ out of the incident. The ULFA-I also accused the Sarbananda Sonowal led government in the State of hatching a ‘conspiracy’ under the ‘patronage of the BJP-RSS combine’ to ‘polarize the people of the State on communal, religious and ethnic lines’. The ULFA-I further warned that incidents like the heinous killing of five innocent people at Kherbari village, around six km from Dr Bhupen Hazarika Setu (Dhola-Sadiya bridge) under Dhola Police Station in Tinsukia district earlier last month and the bomb blast at a train on Saturday evening near Harisinga Railway Station in Udalguri district are going to increase in the coming days under the patronage of the State Government to create more polarization in the society. The outfit, through the release also urged the indigenous people of the State to be aware and more vigilant against such divisive forces.